When I read the theme for this upcoming issue, the first thing that came to my mind was Honduras and the problems my country has been going through since the presidential election on November 26th. While the votes were counted over and over by national and international agents, the whole country seemed to be on fire, citizens got out to the streets, and after a few hours, everything turned to violence and crime. Honduran citizens will always keep asking for transparency in every political process. 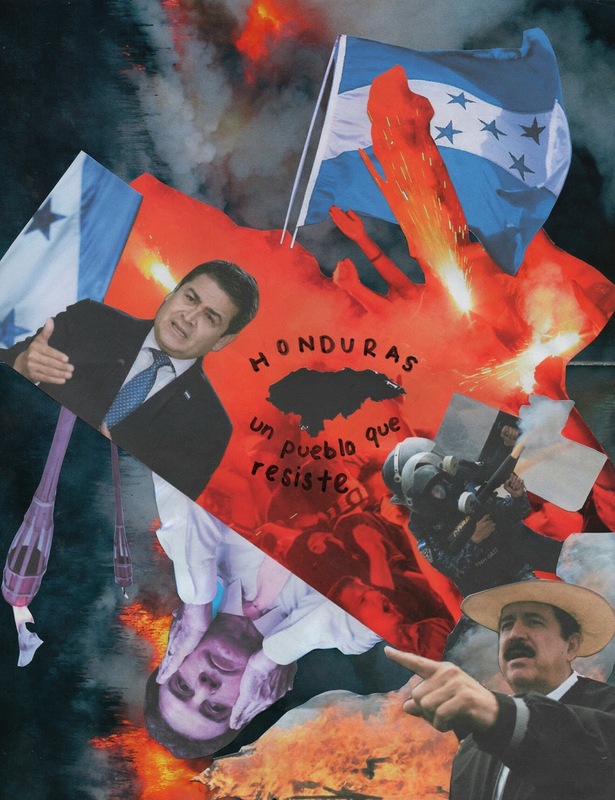 This collage represents the fire and chaos that Honduras goes through while the protests arise.